For many new shooters, Rimfire Challenge competitions are a first taste of the shooting sports world, often acting as a gateway to other competitive circuits. But even in a beginner-friendly environment, getting started in the shooting sports can be very intimidating to new shooters. “That is where firearms modifications come in.” said TANDEMKROSS Business Development Direct Bryan Haaker. One of the most common challenges a new or junior shooter may encounter is charging their competition firearm or clearing a jam quickly. Luckily for new shooters, this challenge can easily be overcome with a simple firearm enhancement: a charging handle. For Gauge Horlick, a youth competitor and a member of Team TANDEMKROSS, adding a TANDEMKROSS “halo” Charging Ring to his competition Ruger® MKIV 22/45 and Glock® 17C boosted his competitive performance, made training and competing easier and helped boost his confidence when he was first starting out in the shooting sports. Making it easier to charge a pistol, prevent painful pinched fingers and more quickly overcome a failure-to-fire or failure-to-eject, Horlick said, can have a big impact on a new competitor, junior competitor or a shooting sports competitor with weaker hands. This confidence boost, Haaker said, is key. “Morale is everything,” Haaker said. 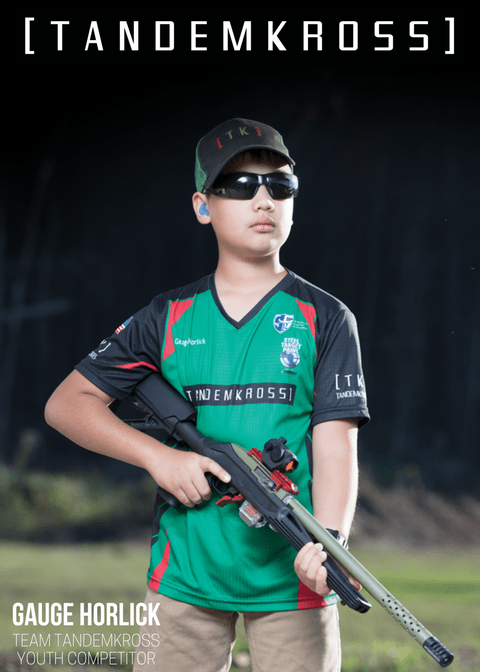 “This confidence boost can mean the difference between a good first competition experience and a frustrating one, and influence whether a competitor continues with the shooting sports. 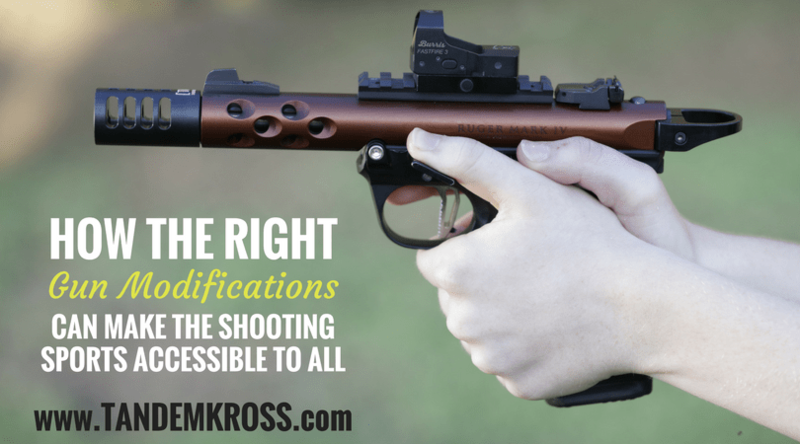 To learn more about firearms modifications for competitive shooting sports athletes, visit www.TANDEMKROSS.com and use the Shop By Gun Model feature to find the best enhancements for your competition firearm.